The fatal Amtrak accident that occurred in early February has been all over the news due to the injuries and deaths involved in the accident. More than 100 people were injured and at least two Amtrak crew members were killed after a track switch locked in the wrong position and lead to a collision between Amtrak and an idle CSX freight train, according to Federal investigators. This is reportedly the fourth fatal Amtrak accident in just seven weeks, and part of what many are now saying is a precarious and somewhat dangerous disregard for human safety at the train company. The train involved in February 4th accident was headed for Miami, Florida when it diverted in South Carolina, ultimately leading to the deadly accident. According to investigators, while the position of the track switch likely steered the passenger train off the mainline track and into the area where the freight train was located, signals were also likely down for maintenance and upgrades at the time of the accident. Specifically, investigators suspect that the CSX freight crew failed to flip the switch back to the mainline setting, thus causing the train traffic to switch from the mainline onto the side track while it was traveling at approximately 56 miles per hour. The crew members reported relining the switch to the main track, even though it is clear that they failed to do so. 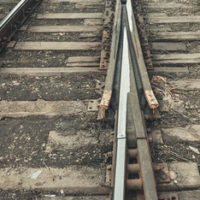 Trackside Signaling In the Area: Where Does The Liability Lie? Investigators also suspect that trackside signaling was involved. This system normally would have alerted the engineer to the incorrect position that the switch was in, except that it was inoperative, likely due to doing upgrades to the signal system to get it ready for “positive train control.” While the railroads normally operate under track warrants when signals are out, whether or not this was in place on February 4th when the collision occurred is still unclear. The latest statement from Amtrak indicates that the company is blaming CSX, which owns and operates the tracks that Amtrak uses. However, according to train crash investigators and railroad experts, the signaling system likely would have prevented the fatal crash, aside from the status of the switch off the mainline. This system is designed to override any human error (such as forgetting to padlock the switch off the mainline) by taking over if the engineer misses a stop signal, and relies on the use of GPS, wireless radio signals, and onboard computers to track where the trains are at any given moment and where they should automatically slow down or stop in order to prevent a collision. If a company’s negligence has led to you or your loved ones developing injuries—or suffering from a wrongful death—we can help. Contact our experienced Florida personal injury attorneys at Friedland & Associates today to find out what kinds of remedies are available to you and your family.